There’s nothing more important to you, the bride, than having the perfect wedding, and that includes every detail down to your bouquet. 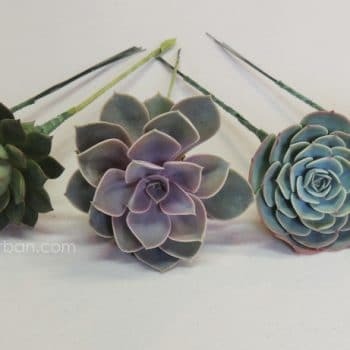 Urban Succulents is your wedding partner, we can custom design succulent wedding bouquets, boutonnieres, corsages, hair combs, party favors, table centerpieces and anything else you need with our quality succulent plants and blooms. 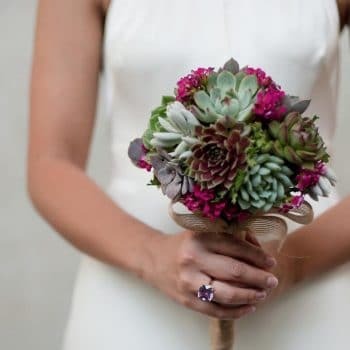 Have you ever stopped to think about what happens to a bride’s bouquet after the wedding? She might dry the flowers and store it in a box, but its beauty fades. 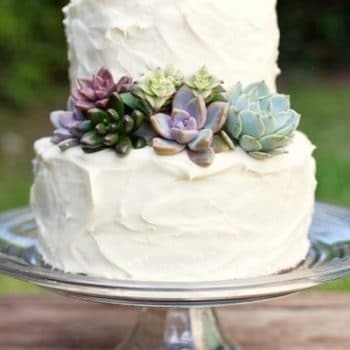 Succulents, on the other hand, can be planted after the wedding to become the wedding couple’s first garden. 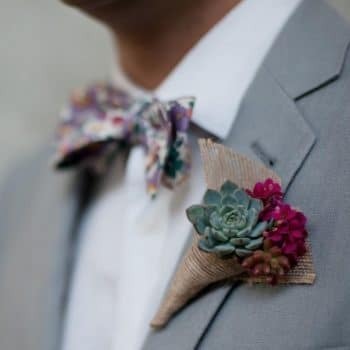 They’re the eco-friendly solution to wedding arrangements. You can even offer them as wedding favors to your guests! 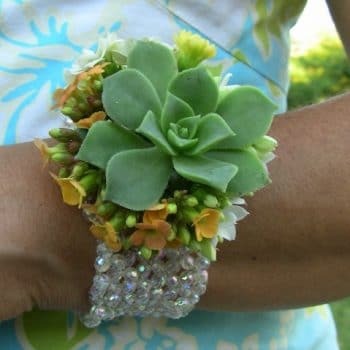 Our succulents make a statement on their own or mixed with fresh flowers like mums,button-poms, billy balls or mojaves. Need to match your color scheme? Not a problem. We use fillers such as statice, limonium, kalonchoe, poms, lepto, and solidago to help you maintain consistency in your wedding colors. 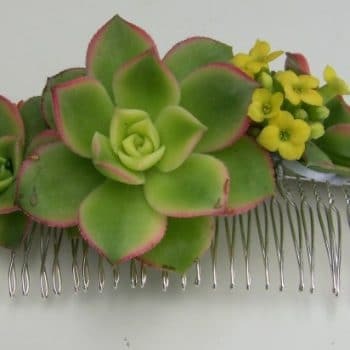 If you prefer the DIY approach, try our wired succulents, which can be creatively used in a variety of ways. 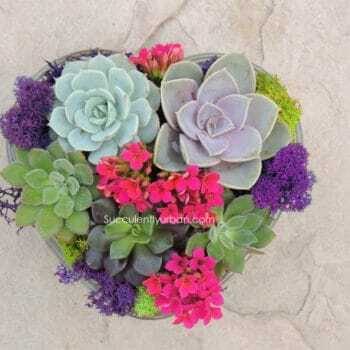 We ship our succulent bouquets anywhere in the U.S. using a special packaging technique that ensures your bouquets and arrangements arrive ready to perform. 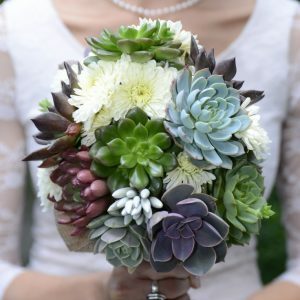 Please view our galleries for ideas and then contact us to learn more about how succulents can make your wedding day truly remarkable.